By the 1970s, it was almost impossible to find a decent pint of beer around Hereford. Happily this was the stage at which the new wave of microbreweries began to arrive on the scene. In 1977, Martin Griffiths of Penrhos Court, Lyonshall opened the Penrhos Brewery, and soon became well-established in a small number of free houses, notably the Crown at Aymestry, later to become the Riverside, with its own brewery. 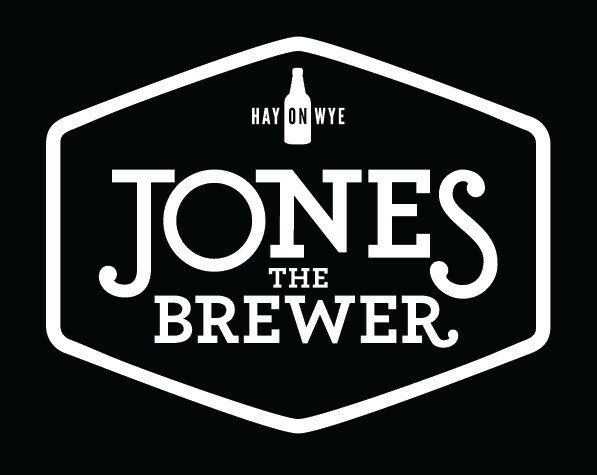 Beer with a flavour was back, and Penrhos Bitter, Jones's First Brew and Penrhos Porter soon had a cult following. The beer was available quite widely around the county, but changes of personnel and other problems, led to the brewery closing in 1983. The Canon Pyon Brewery, at the Nags Head was in operation for about a year, producing Pyon Bitter for sale in the pub. When it closed, the equipment was moved to Bodenham to establish Tates, whilst the premises were taken over by the Wye Valley Brewery in what turned out to be a brief stop en-route from Retford to Hereford and, much later, Stoke Lacy. Herefordshire Ales, set up by Dr Chris Tennant, started brewing in 1985 on Holmer Trading Estate in Hereford. Hereford Bitter and Old Mild Ale were taken up by some half a dozen pubs in the city, but the operation closed down in 1986. The Tate Brewery, named after Maurice Tate (the England cricketer - who was the owner Dave Dawson's grandfather), began life at Canon Pyon in 1985, but was 'caught out' three years later. It ended brewing when finally operating near Bodenham. 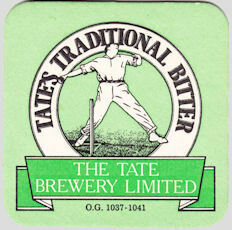 Their beers were of a high quality and were all given names with a cricketing theme, such as LBW and Maiden Over, as well as Tates Traditional Bitter. Brewing returned to Hereford city itself in 1986, when the Wye Valley Brewery, moved from Canon Pyon to the Lamb Inn or, as it rapidly became known, the Barrels. 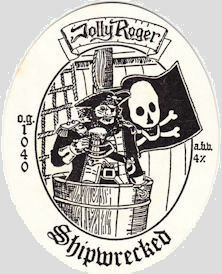 In 1990, Paul Soden of the Worcester-based Jolly Roger Brewery bought the Bricklayers Arms in Hereford, and converted it into a home-brew pub called the Jolly Roger with a bar in the shape of a galleon. Calling itself the Original Hereford Brewing Company, it brewed Quaff, Blackbeard and Old Hereford Bull. A pub sign in the form of a mural of a pirate brought conflict with the local planning authority. By 1993 Jolly Roger were scaling down their operation, and the pub was sold to the Wye Valley Brewery, and renamed The Victory, the brewery being closed. Brewing returned to Leominster in the early 1990s when Steve Dunn set up the Dunn Plowman Brewery in a shed at the back of the Black Horse. Steve had actually started brewing quietly at the Royal George at Lingen although this was never listed in the Good Beer Guide. Later, in partnership with Paul Harris, the operation was moved to the Queen's Head at Kington, and renamed the Solstice Brewery. This management arrangement was fairly short-lived, and the name duly reverted to Dunn Plowman when Steve re-established his own brewery at the Queen's. Founded in 1993, the tiny Fromes Hill Brewery was situated at the Wheatsheaf Inn. The main beer was Buckswood Dingle and a few other pubs were supplied. The operation wound up in 2000 and the pub has subsequently closed for nearly 10 years. 1994 saw the start-up of the Shoes Brewery at Norton Canon. Frank Goodwin had been a home brewer for many years when he started brewing on a commercial basis for his pub, the Three Horseshoes. The beers were mainly brewed from malt extract although Peploe's Tipple was a full-mash brew when introduced. The formidably strong 15% ABV Farriers Beer won the bottled category in the CAMRA West Midlands Beer of the Year Competition 2004. 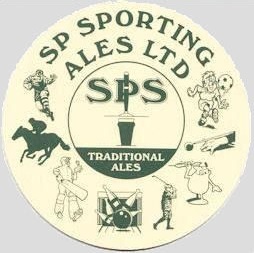 S P Sporting Ales of Stoke Prior began in April 1996, supplying beers to the local trade under a variety of sport-related names. Brewing continued until 2001, when the equipment was purchased by Dunn Plowman who were in the process of relocating to an industrial unit at Hergist, near Kington. 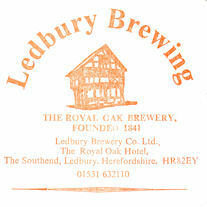 Brewing was first established to the rear of the Ledbury's Royal Oak in 1841, closing in 1921. Seventy five years later the Ledbury Brewing Co set up on the site. A year later, a change of management saw output increase, with some 60 outlets being supplied. The excellent beers used single varieties of hops, with names such as Challenger, Northdown, and Pioneer Gold. A tied pub was purchased in 1998, but the operation ran into financial difficulties and closed in 2000. In the north of the county, the Woodhampton Brewery opened in 1997, idyllically situated on a farm a few miles from its brewery tap, the Riverside Inn at Aymestry. Equipment came from Wild's Brewery of Slaithwaite. The beers were all named after birds with Red Kite as the quaffing bitter plus Jack Snipe, Kingfisher and Ravenhead Stout. Brewing ceased in 2002 when the original partnership broke up. 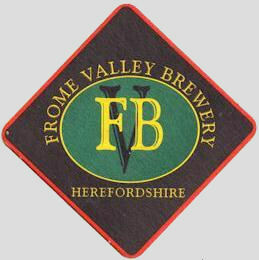 Also starting in 1997 the Frome Valley Brewery was set up in an 18th century hop kiln at Halmonds Frome. The main beer was Frome Valley Premium Bitter, and a few local outlets were supplied. Bottled beers were supplied to local craft shops. Brewing ceased in 2002. In 2000, Hereford city again had two breweries of its own when the Spinning Dog Brewery opened at the Victory. By 2002, from a high of about ten, the county was down to four working breweries, with Marches awaiting relocation. The benefit of reduced duty for small breweries came too late to save some of them. With the opening of Bridge Street Brewery in Kington, on the Queen's Head site previously occupied by Dunn Plowman, the tide was beginning to turn again. Soon Pete Wild arrived in Herefordshire (about 7 years behind his old equipment at Woodhampton!) and was setting up Wilds Brewery in Weobley. Wild's beers were launched in 2005, by which time the Frome Valley Brewery site and equipment was seeing renewed activity in preparation for Mayfields Brewery. These two breweries contrasted in the way they sell their products, with Wilds relying mainly on wholesalers and Mayfields distributing locally. The Foot and Mouth epidemic temporarily halted transfer of Marches Brewery to Dormington, but brewing was able to recommence in 2004. Although change of ownership of the site caused the main development to be abandoned, the brewery appeared to be secure. Work commenced on a brewery shop, and a bottling line was installed. The beers, some of which used experimental hop varieties, were mainly available via festivals and at Paul Harris’s own Little Beer Shoppe in Ludlow with only a few pub outlets. Beers included Dormington Gold, and Bodiceas Gold (both 4.5%), Forever Autumn and Mediaeval Ale. Brewing had ceased by 2007. By this time all was not well at Kington - Bridge Street had only brewed intermittently when the licensee of the Wine Vaults took on the vacancy for a brewer. The relationship did not work out, leading to yet another brewery being built in Kington, at the Wine Vaults - now called the Arrow Brewery. Brewing continued spasmodically at Bridge Street but ceased altogether in 2006 and the building was converted to domestic use. Later in 2006, Wild’s expanded into bottling, introducing swing-top bottles which were very novel for real ale. However the plan was ill thought-out and the significant financial backing for the bottling line was withdrawn, causing Wild’s to go into receivership in February 2007. Plans were announced to reopen under new ownership as a bottled-only operation called Weobley Organics. A brewer was appointed, and a website was set up giving brief details of proposed products, plus a logo. However, this plan was aborted, and by November 2007 the site was stripped of everything except thousands of unused swing-top bottles. To the best of our knowledge the new operation did not actually brew, and certainly never sold any product. In Summer 2007 plans were laid for a new brewery on the National Trust Brockhampton Estate near Bromyard, but the project was heavily delayed by the adverse weather. Brewing finally started in Spring 2008 as the Willoughby Brewing Company. 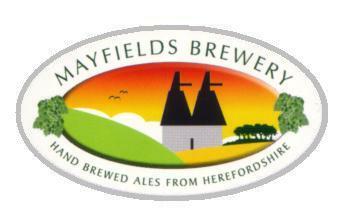 Late in 2007 Mayfields ceased brewing, and the business was sold as a going concern to Adam Smith, who installed the equipment in Leominster, and commenced brewing in Spring 2008, using the same recipes and names. At the end of 2008 the Dunn Plowman story drew to a close, with Steve and Gaye Dunn retiring from brewing. Their equipment was acquired by Paul Kenyon, and installed at the Bull Ring at Kingstone, as Golden Valley Ales. By early 2010, this brewery had outgrown the Kingstone site, and moved to Peterchurch. 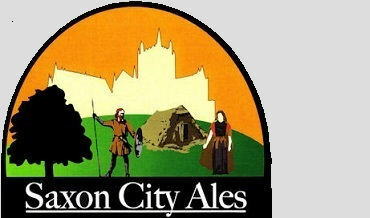 In July 2010 Spinning Dog Brewery changed its name to Hereford Brewery, and two months later, Chris Strange of Hereford Casks Ltd. launched Saxon City Ales. 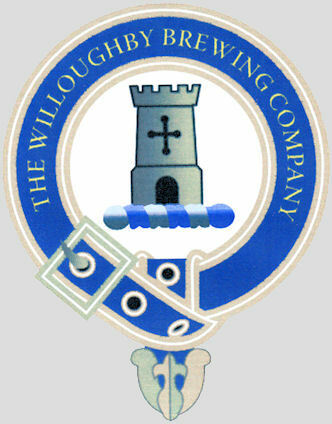 During that year, Willoughby ceased brewing, and the site and plant was later taken over by Brew ON. In May 2012 brewing commenced at Ledbury Real Ales, but the county’s tally of breweries didn’t stay at nine for very long. Paul Kenyon’s cherished plans to move to a heritage site nearby in the Golden Valley were thwarted at the last minute, leaving him seeking another site, rather than renew his lease at Peterchurch. With Golden Valley sales already strong in the south west of Wales, Paul spotted an opportunity at the Nag’s Head in Abercych, where the landlord was keen to revive a defunct brewery. After a brief period with both breweries in operation, an overheating incident at the Peterchurch site precipitated the closure of that operation and transfer of the Golden Valley range to Pembrokeshire, where it was re-branded as Cych Valley. It seemed that, for several years, the national upsurge in the number of small breweries was passing Herefordshire by. However, Ledbury Real Ales turned out to be the first of a new wave in the county. It was followed, later in 2012, by Mulberry Duck near Wellington, and early in 2013 Simpsons Fine Ales at the White Swan, Eardisland; Jones The Brewer near Hay-on-Wye and the Wobbly Brewing Company in Hereford. Also in late 2012, the plant at Saxon City was used to brew a range of beers on behalf of Publisher Ales - linked to Doghouse Magazine. With a trading address in Ludlow, and most of its outlets in Shropshire, it was never clear whether this should be treated as a Herefordshire brewery. In the event, the operation was short-lived and production of Publisher Ales was suspended later in 2013. 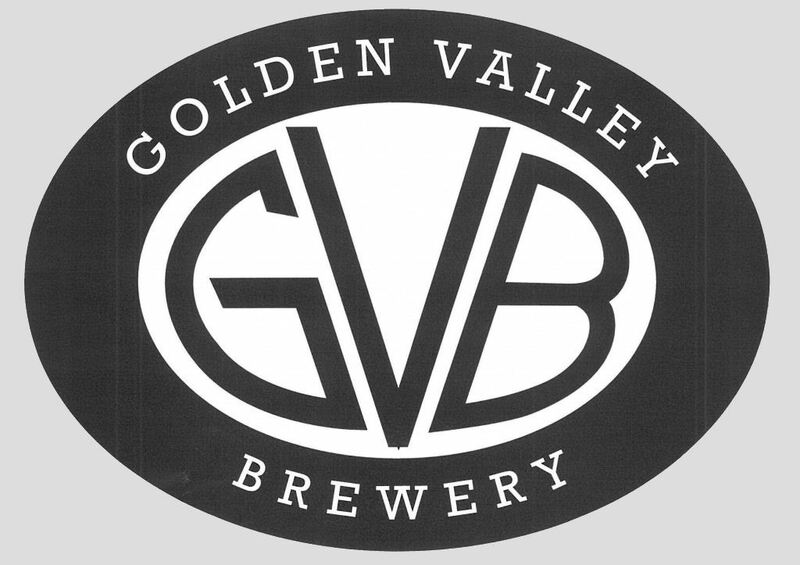 In 2014, new equipment was installed at the Peterchurch site vacated by Golden Valley Ales and brewing resumed under the title Golden Valley Brewery, the company having no links with the previous incumbent. Brew ON’s tenure of the brewery at Brockhampton was characterised by perpetual delays due to electricity supply issues. Nick Comley had taken on other commitments during the idle periods, and was unable to progress beyond very the limited brewing that was carried out in 2013/4. By mid-2014 the site and equipment had been taken over by the Odyssey Brewing Company. In an unexpected development, Mayfields ceased brewing in March 2015. Proprietor Adam Smith, was needed to help run the increasingly-busy family business of making and fitting children’s outdoor play areas - and so he reluctantly decided to call it a day. The brewing equipment was sold to a start-up brewery in Essex. Less than six months later, Damian Jones of Jones The Brewer decided to withdraw from Brewing. Meanwhile, with production at Hereford Brewery being scaled back, spare capacity had become available, and was taken up by Kelpaul Brewing Company. Later in the year Jonny Bright, the proprietor of the new Hereford Beer House, similarly started to use spare capacity at Saxon City Brewery, brewing as After the Harvest. The first brew, an excellent Belgian Style beer, went on sale in keg form. Subsequently the arrangement with Saxon City ran into technical difficulties and was suspended. Late in 2015, Jimmy Swan, ex-head Brewer at Wye Valley, began work to install a brewery in an industrial unit in Leominster (not the one vacated by Mayfields). The Swan Brewery started brewing in March 2016. Despite brewing some very drinkable beers, Alastair Wray’s Mulberry Duck had not broken into the competitive free trade in a very big way. Now, with his main job of pyrotechnics to fall back on, he scaled back his brewing operation in August 2016 to allow Kelpaul Brewing Company to take over the role of lead brewers on his site at Wellington. Sadly, this arrangement only lasted long enough for Kelpaul to complete one brew, before the complete closure of Mulberry Duck was announced. Kelpaul duly returned to Hereford Brewery. The total number of breweries in the county was not reduced for very long, as the first brews from a new brewery at the Butchers Arms in Woolhope went on sale at the pub in November 2016. Like Mulberry Duck, Golden Valley brewery made very little impression on the local free trade, and by 2016 was brewing on an occasional basis to supply to shows around the country in conjunction with Gwatkins Cider. By 2017, brewing had ceased and the equipment was up for sale. Likewise, the equipment at Saxon City was also sold. In 2017, Kelpaul were able to relocate once again to the Mulberry Duck site at Wellington, this time as the sole occupants. The year also saw the retirement of Frank Goodwin, resulting in the closure of both the Three Horseshoes, Norton Canon, and the Shoes Brewery. A new brewery appeared on the scene in 2018 in the diminutive shape of the Bullen Brewery, located just outside Ledbury.